The past few days with settlement and the big move have been exciting, new, exhausting, eye-opening, busy and oh so worth it. 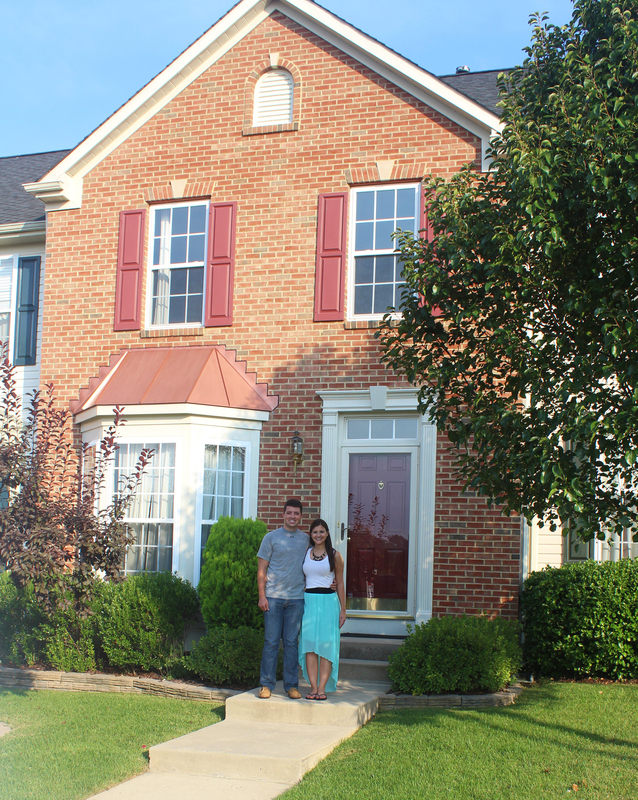 First and foremost – we are officially homeowners! On Thursday we had our settlement. At our settlement we signed what seemed like a zillion papers (Bryan forgot how to sign his name by the end of it and I had hand cramps) and we met the previous home-owner (who was absolutely amazing). After that we were handed the keys and they were mostly all Washington Redskins patterned house keys so Bryan instantly knew it was fate that we were meant for that house. After we finished our settlement of course we uploaded the standard keys-in-hand photo to facebook: Afterwards we headed to the old house to meet my dad to bring the first load of stuff over. Thursday night we unloaded what seemed like thousands of boxes and then we returned to our old house for the night. Friday I started to set up the kitchen and let me tell you, trying to figure out what dishes should go where, and what drawers should hold what was so tough. By the time Bryan was home from work I had organized the kitchen and the bathrooms. The cable guy then came and hooked up our TV/Internet so we were set. Saturday was MOVING DAY. We loaded all of the furniture into the trailer and the guys made a few trips back and forth carrying all of the heavy pieces while I went back to the old house and packed all of my clothes (an equally hard task if you knew how many clothes I have). By about 5:30 all of the moving was done (phew) and then I cleaned up a little and then we had our first visitors – my Mom and Stepdad. My amazing mom brought us food – because if you opened our refrigerator at that point you would have found nothing. We then shared a bottle of champagne to celebrate. It was wonderful having our first house guests and we look forward to many more. Saturday night was the first night we spent in the house and that is when the realization hit that we were homeowners and this is where we would build our lives together! Thanks Cat!! Are you in yours yet?! You welcome. Nope, we signed our Settlement paperwork, but our escrow closes on the 9/4. Will begin moving during that weekend. Congratulations!! Love your crossing the threshold pictures– good thinking taking those!